Thailand Leather Pet Toys Companies, Thai Leather Pet accessories Manufacturers produce a range of pet products mostly destined for the export market. The main products are centered around basic items for dogs and cats like leather dog collars, leather cat collars and various leashes and leather harnesses. There are some more exotic items available like leather pet carriers and some fancy leather pet clothing items such as dog leather jackets. My favorite are a range of leather caps and leather hats for dogs. At a show recently I came across a leather baseball cap adorned with silver chains. I had to have one of these but I was to be disappointed - they didn't have my size. 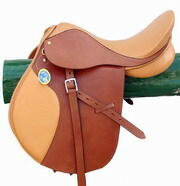 We also have a supplier of saddelry and bridles. They are not based in Thailand but I am happy to pass along their contact details. Bangkok Companies is a full service product sourcing company in Thailand. 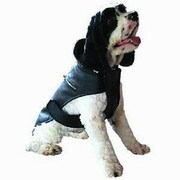 For All your leather pet product needs please email bangkokcompanies@gmail.com with your requests. Az Best Partner Co., Ltd.
We're an export agent for pet supplies in Thailand. We offer a wide range of products including cloth, food, toys, and dog chews. We're currently exporting to Japan and Korea and looking for the opportunity to expand to other parts of the world. A huge discount is offered for wholesale purchases. My primary products are cat dog collars and other pet supplies. My business started from my own interest. Because, I love cats and dogs so much. I know how much my customers love their pets because I love mine too. Bam roong thai tannery co. Ltd. Is a leading manufacturer and exporter of quality pet food and toys in Thailand. 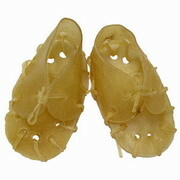 The company's products include rawhide items, munchy items, rubber toys, cuttlefish bones and cat snack. All products are made in varieties of shapes, sizes and flavors. Other ingredients like carrot, spinach, fluoride and calcium are available to add healthy values to the products. Our products are a good choice for your lovely dogs. The dogs will enjoy exercising their teeth and gum, making them clean, strong with no cavity. Moreover, the products can be a delicious reward for them during their training period. They contain food colorings, so they are safe and can be fed as many as you want. Bam roong thai tannery is very conscious of the need for quality in both its product range and in its entire production process. All products are made from only fine selected raw materials like premium hide, which is a 100% natural material, containing high protein and low fat. Chichi Pet Products company produces and distributes pet products mainly dog chews and toys. Our products are manufactured in a highly hygienic factory to ensure the hygiene of foodstuffs at all stages of the production process, from primary production up to and including sale to the final consumer. Dogs and dog owners love our products. 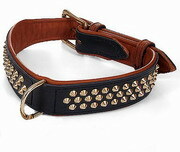 I want to sell pet products: Clothes and accessories (such as leash, chain) worldwide. Products are in a wide range of price, pattern, materials. They are in good quality as well. Order is not necessary to be huge lot. It is negotiable. In The Pet Office sells dog and cat products. "wagging Tails" is our brand name. Our store sells cotton, leather product for cats & dogs e.g.. Collar, leash & food, snack that suit pets character, personality. We are an affiliated company of Kowa Industrial, a manufacturer of rawhide chews and munchies for more than 30 years. Our factory is located in Thailand. We offer quality rawhide chews at reasonable prices. Products: Rawhide Chews and munchies for dogs. We, PetsMart Co.,Ltd. have established in Thailand for 5 years. We are an aggressive distributor of Pet Products. 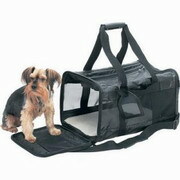 We specialized for all kind of Pet Products such as Pet Cages Pet Grooming items Pet Hardware Pet Clothes Pet Leashes. Products: All Kinds of Pet Products: Pet Cages, Pet Grooming items, Pet Hardware, Pet Clothes, Pet Leashes. We are one of the major suppliers of pet toys, snack, and treat including dog biscuit, dog energy treat, and rawhide chew toys with innovation design and quality consciousness. We are well established company with customer worldwide.